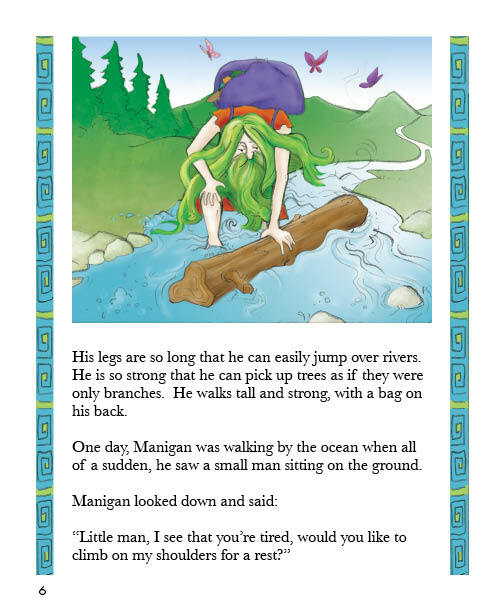 Manigan is a gentle giant and steward of the Earth who uses his bounty to aid those in need. He helps a couple of people who unfortunately take advantage of his kindness and eat up his stores of food. 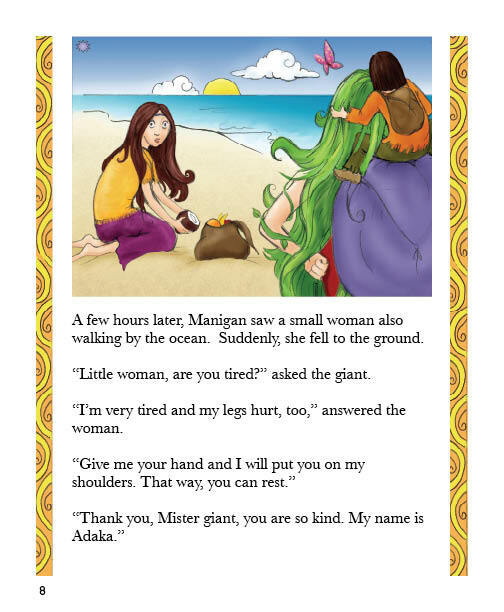 When the giant becomes weak, the couple realize that they have to give back to the one who has given them so much. 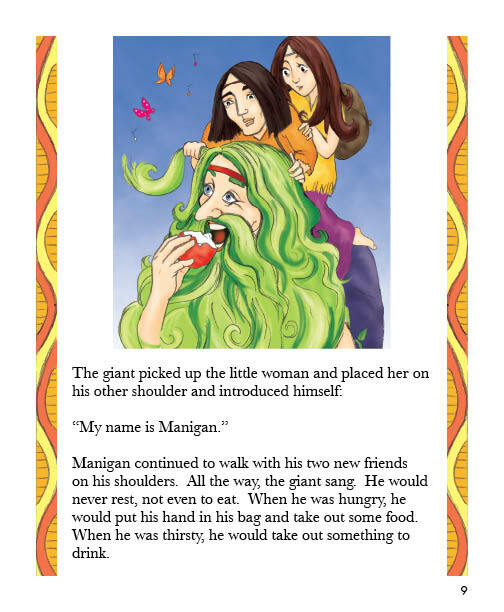 They nurture Manigan back to health. 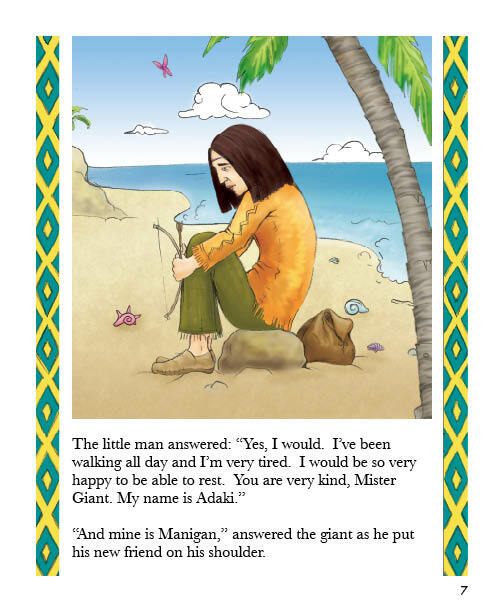 This tale, which evokes First Nations wisdom, is a parable that reminds us of the need to treat our world with respect, and not just as something to be viewed as a resource for human consumption. Prince Albert has been brought up in the lap of luxury. 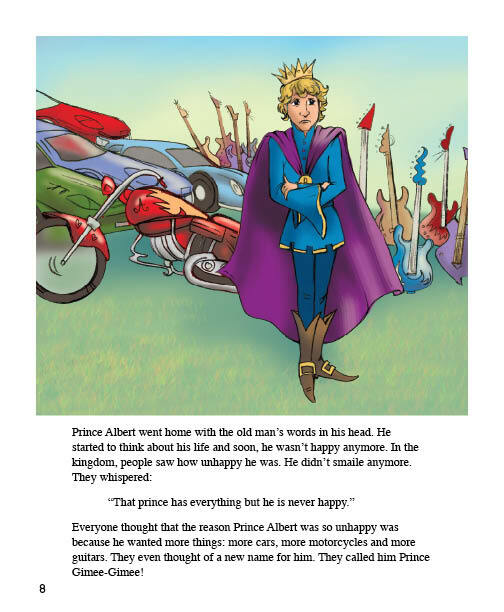 The more material goods he has, the less satisfied he feels. 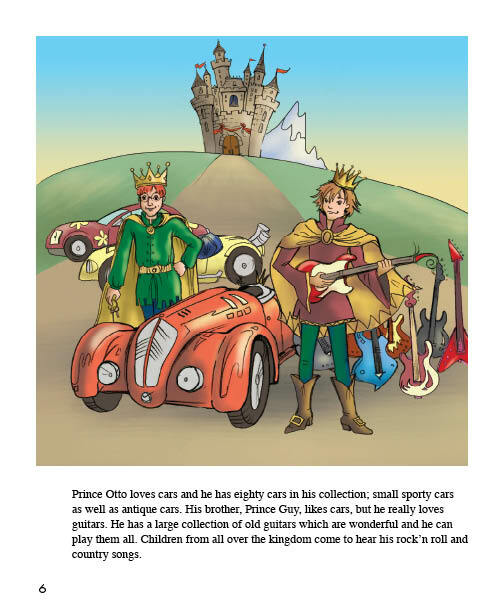 Because of his greedy nature, he becomes known as Prince Gimme-Gimme. 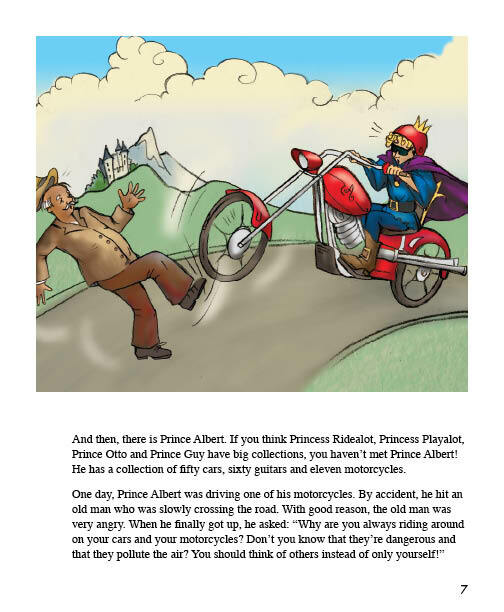 One day, while speeding on his motorbike, he almost runs over an old man> This event triggers a sense of remorse in him and causes him to re-evaluate his life. 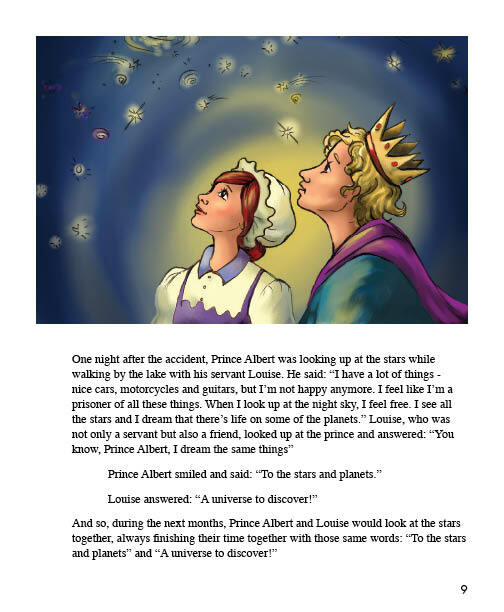 One night, while looking up at the stars, Prince Albert decides to become a space explorer. He heads off into the heavens in his spaceship. Years later, he returns to his home with his new-found alien friends.